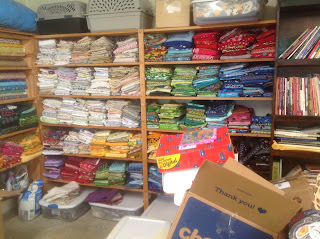 I didn't realize just how much fabric I had. When you get it all in one area it's massive. 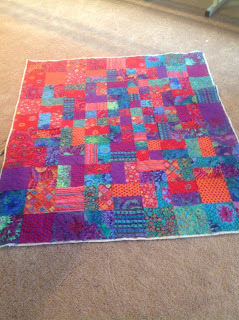 I managed to quilt a quilty hug, this one was made by K of A Left Handed Quilter. 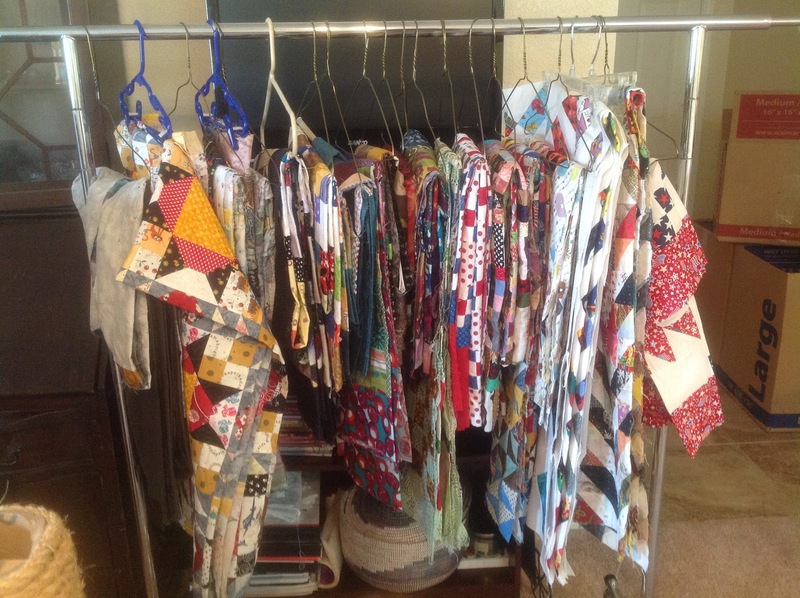 All these fabulous fabrics are Kaffe and beautiful! I've been doing some decorating and arranging my space. It's feeling very homey. 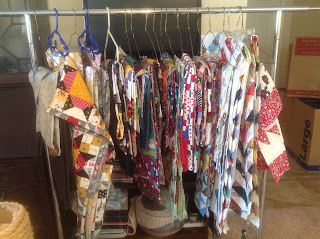 These are the unearthed quilt tops I have found. I know there are more, lots more. I love seeing your stash. You can have a lot of fun with it. Wow! that is a serious stash! You have it sorted nicely too..
Glad you are settling in! There's a lot of fun in that room! 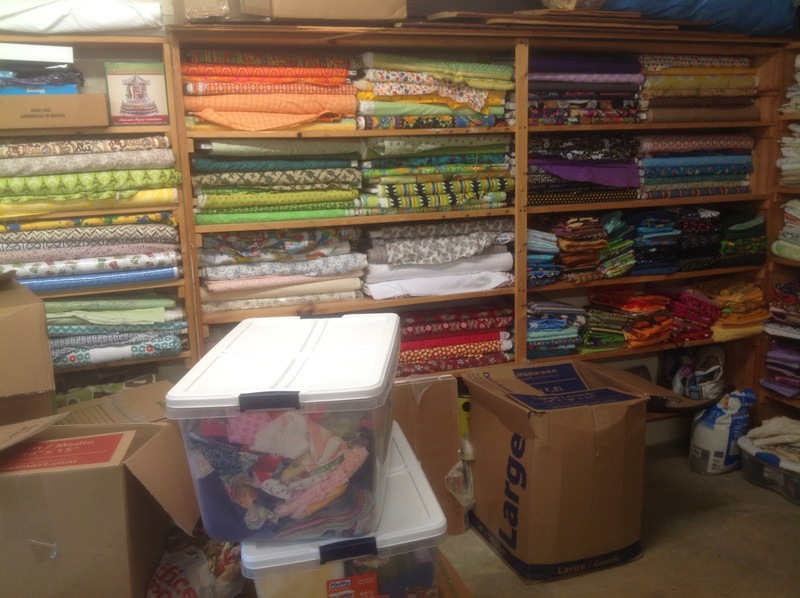 You win first prize for such a well arranged stash, and your sewing area is indeed also roomy and functional. I'm sure it feels good to get organized and more settled. 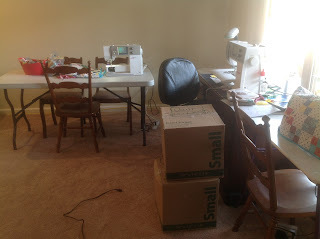 I might have to move to get more organized. 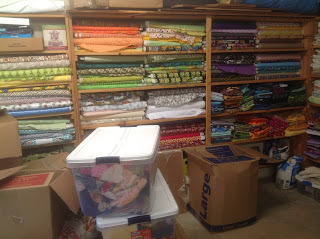 Oh, how I wish I had one place where I could put all of my stash. That looks wonderful! 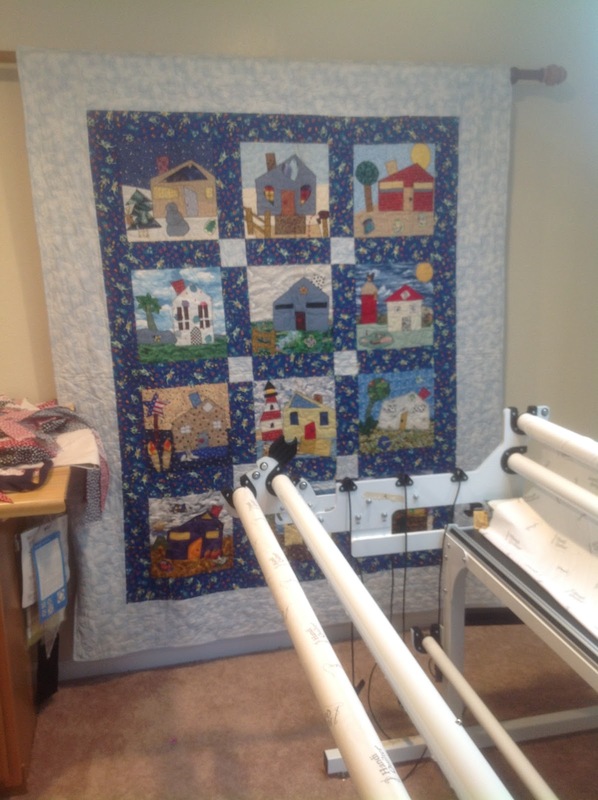 You have a great sewing/quilting space. Enjoy! 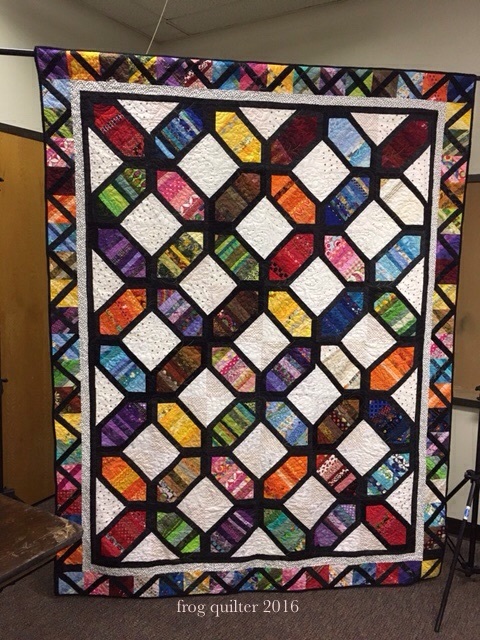 It's fun seeing all your completed quilt tops hanging in a row. It looks like my closet downstairs - so familiar. I love completing a quilt and going into the closet to select the next one. I keep quilting them but the amount left over never seems to get smaller ha! 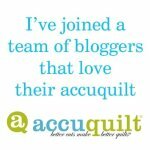 You do have a lot of fabric but, you're not alone.